I made a few goals, not so much resolutions, but calendar commitments. I scheduled hikes, camping trips, visits to family and friends, and time off of work for the next year. We are the traveling, hiking, camping people, but we haven’t done enough of it in years past. I want that to change, so on vacation I took time to schedule these things throughout the year. Of course, there will be some wiggle room if something comes up, but to stick to our plans, that something needs to be good or an emergency. That is our commitment to ourselves, our sanity, well being, and true selves. Here another way of putting our health first, ourselves first, and taking care of ourselves. Last year we did a cleanse to start the year, and this year I wanted to put together this post for healthy recipe inspiration. Many of these recipes are from the cleanse, a vegan cleanse, but many of these recipes are just healthy, filling, and beautiful. Are you onto healthier food for the start of the year? 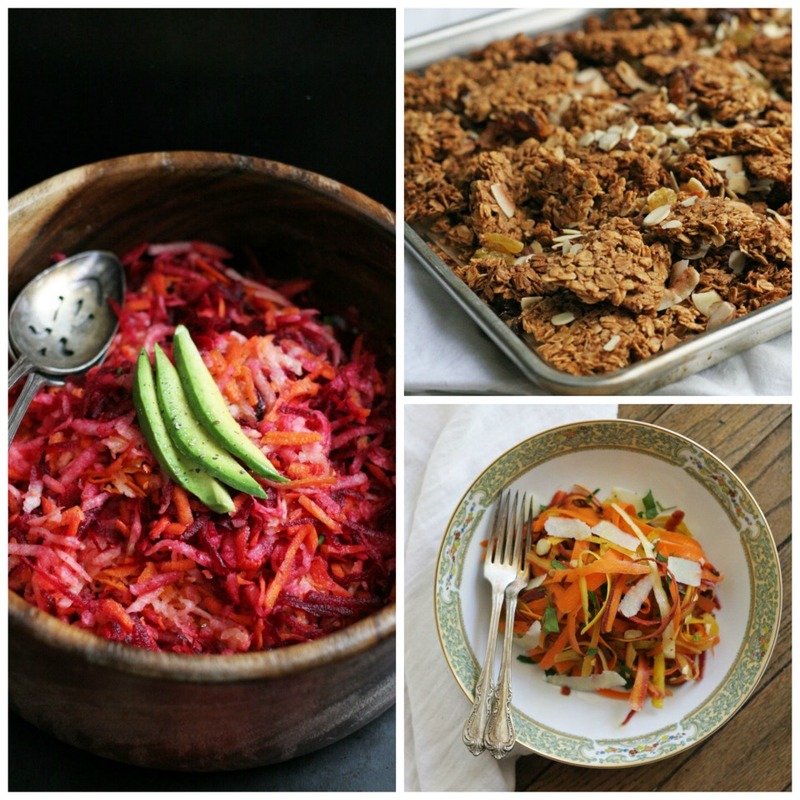 Enjoy these Healthy New Year Recipes! Like many, I’m trying to clean up our eating after the holidays, and this looks like a great collection! I especially love the look of the Rainbow Carrot Salad. Coincidentally, I’ve been planning to make some tamarind chutney to accompany a recipe post for butternut samosas that I have scheduled next week, and that Tamarind Date Chutney looks like just the thing! Thank you, Renee! That sounds so good, I’ve never had a butternut samosa. So glad you enjoyed some time away doing the things that you love. These healthy recipes look great. My body is totally ready to get back to healthy eating. As much as I love holiday food it tends to leave me feeling blah! 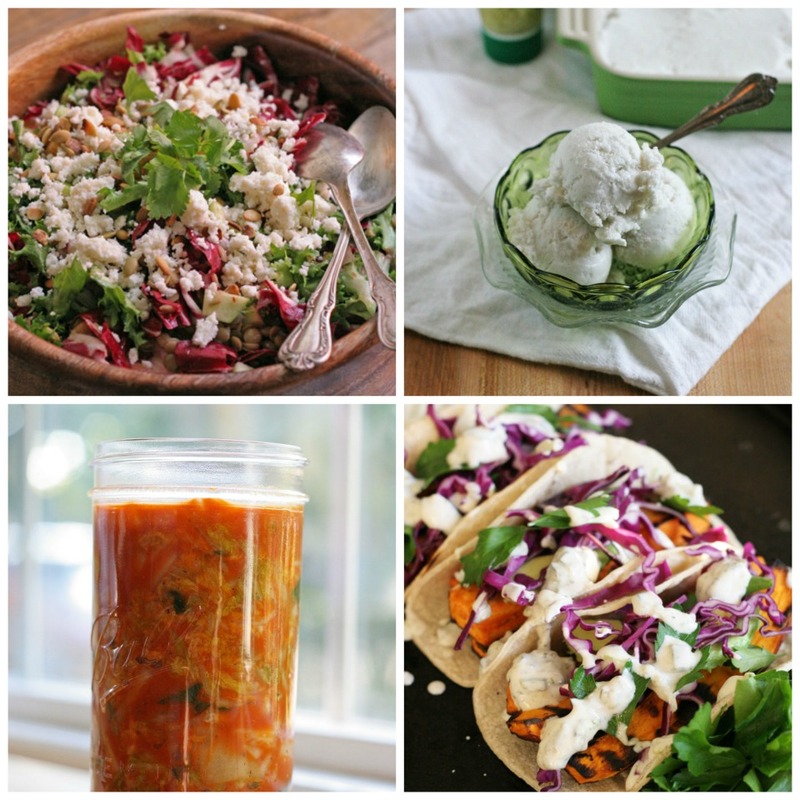 I love all of these delicious and healthy recipes, can’t wait to try some of them! I love it! And I am trying your smoothie tomorrow am!